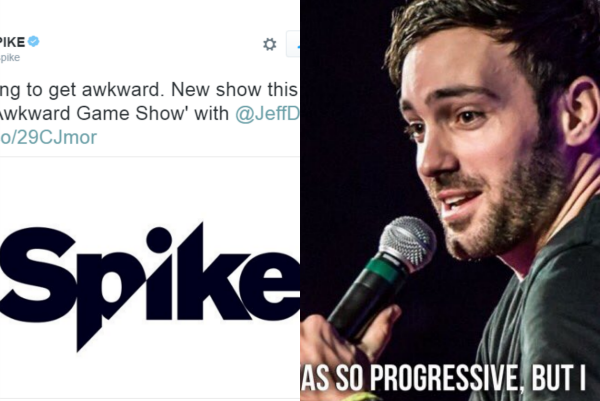 As earlier reported by “Deadline.com”, Spike TV is re-inventing the concept of traditional family game show with a format somewhat disturbing in “That Awkward Game Show” which forces embarrassing truths out of it’s contestant family members. 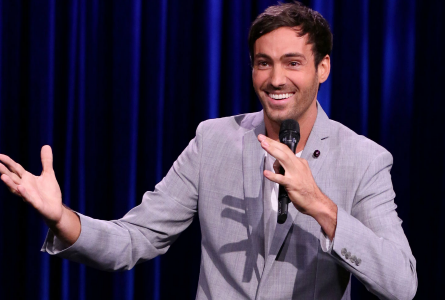 Hosted by comedian Jeff Dye (from “Last Comic Standing” fame). The show is set to premiere this coming October 12th. Audience Member Says ‘Didn’t Enjoy It’ In This EXCLUSIVE SNEAK-PEEK! “That Awkward Game Show” was being filmed for the last two weeks in Santa Clarita, Ca and just recently finished it’s last day filming yesterday, Saturday. In a recent reaction from an audience member, they stated that they “didn’t enjoy it,” and that it’s parents and their 29-something children guessing things about each other- embarrassing revelations, etc. One of the dads was kind of disturbing in his comments and stories, in my opinion. Another revealed that at one time he had been a pimp. ‘That’s entertainment! I call it ‘dysfunctional family feud'”. Varies audience member accounts also revealed that for the 200 of them, there were only four porta potties provided with everyone breaking at the same time. Yikes! 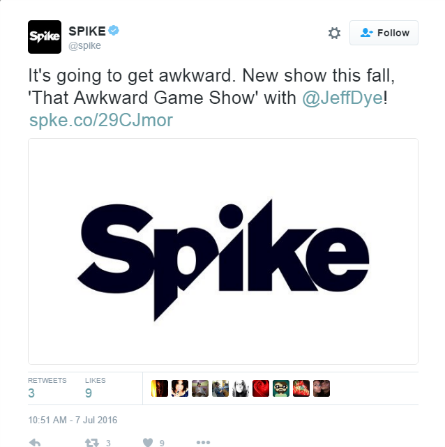 According to Spike, each episode will feature three teams of two — each composed of one parent and one adult child — trying to figure out which embarrassing factoid is related to their teammate. Contestants will have to identify uncomfortable, often outrageous, previously unknown truths about their loved ones to advance throughout the game.